The Anta Cut Anta Cut table lamp aluminum has a head made of bone china. 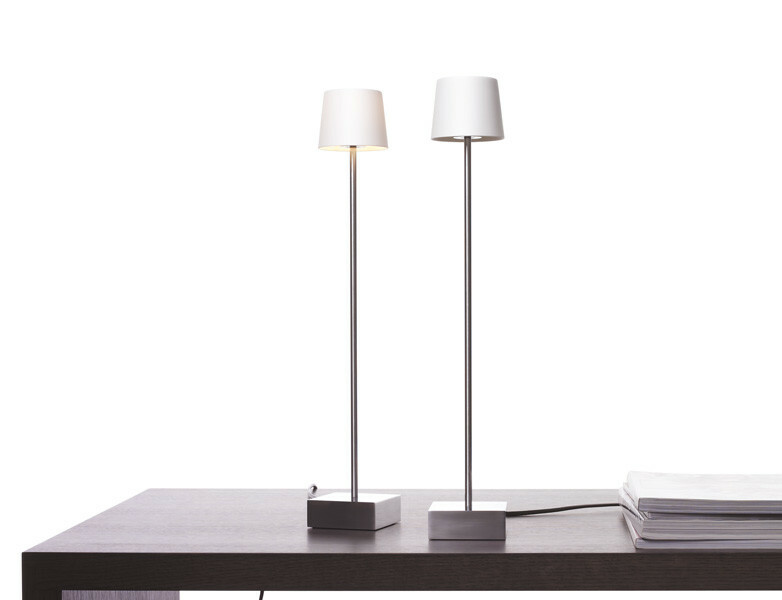 The rest of the lamp is made of brushed aluminum. 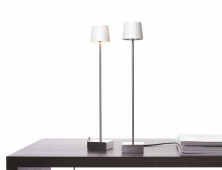 The Anta Cut Table lamp aluminum is a small table lamp. 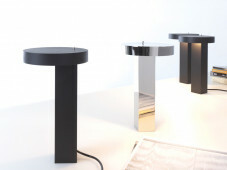 The light body is made of aluminum and has a base of polished aluminum. 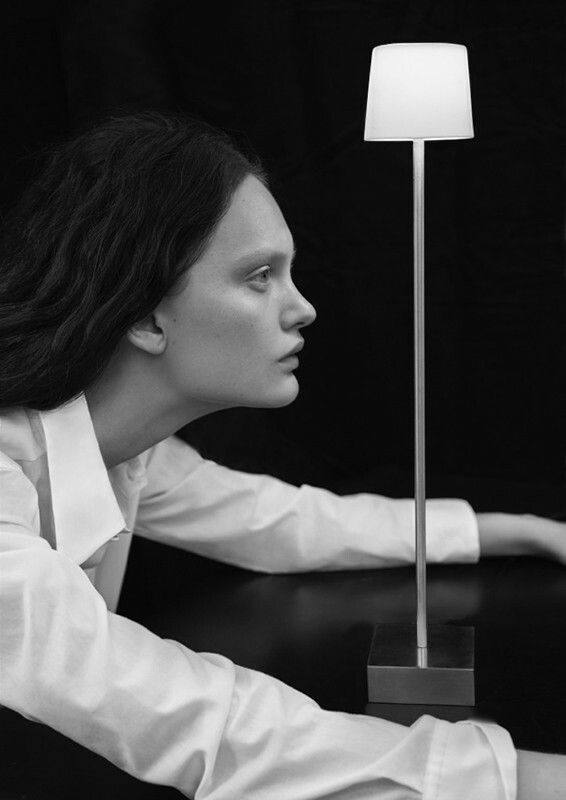 The head of the lamp is made of bone china porcelain. It can used by its simple appearance almost anywhere in the living area. 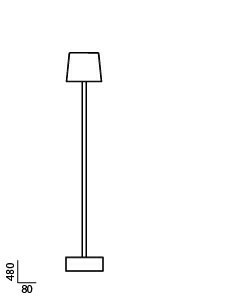 This lamp is offered with a black or a transparent supply cable. 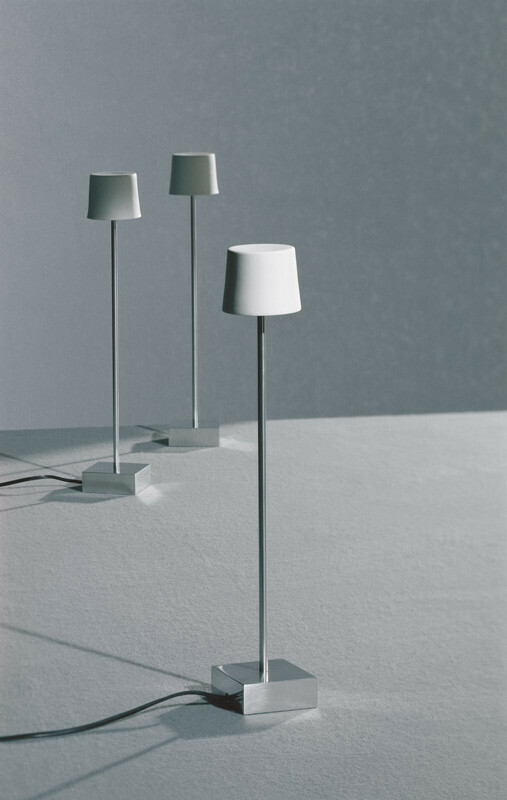 The luminous intensity of the Anta Cut Table lamp aluminum can be regulated with a cord dimmer or touch dimmer. In addition to the version in brushed aluminum, it is also available another version of this light painted in black. The 125 volt version is supplied with an on/off switch (not dimmable).